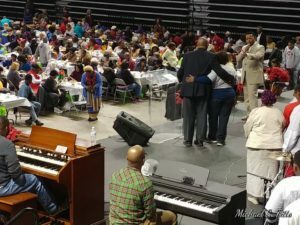 On November 21, 2017, Daniel Cason Ministries hosted their 12th annual “I Cared Enough” Thanksgiving week meal and food distribution at Fair Park Arena. Come one, come all, everyone was welcomed. 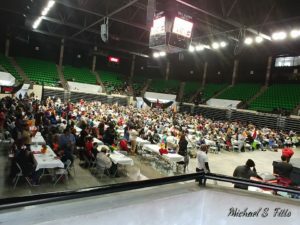 Warmth, a hot meal, non-perishable food items, clothing, encouragement and prayer blessed the hearts of many. 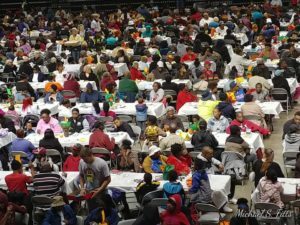 Approximately 5,000 people were loved on during the event. Briarwood Presbyterian Church, Mountain Brook Community Church and Liberty Church contributed food gathered through donations and prepared by members to fill the hungry bellies of those who attended, while Grace Klein Community provided warm clothing, of all sizes, to keep friends warm this winter, and groceries for participants to take with them as they left the love feast. 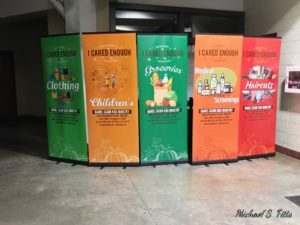 CLICK HERE to watch a short clip, taken live at the event.